In Marcella McNeill’s family, they were always rehearsing: her father, an actor, her mother an aspiring opera singer, her grandmother, a renowned violinist. In the summer of 1969, eleven year old Marcella and her little sister Rose-Renee become detritus in their parents’ nasty divorce. The girls are sent to live with their enigmatic grandmother, Gloria Denham. Endlessly playing her Stradivarius in the music room with its teak floors and unparalleled acoustics, Gloria’s routines and standards are inflexible. As long as Gloria remains undisturbed, the girls are free to explore the decaying Denham mansion and the beautiful Brandywine countryside surrounding. Within weeks of their arrival Marcella and Rose-Renee come under the influence of a neighbor, the athletic, relentlessly cheerful Mrs. Dorothea Jones. Dorothea convinces Gloria to allow the girls to be home-schooled with her sickly son, Rodney. What Dorothea lacks in teaching skills, she makes up in inspiration, and affection. Dorothea sees beyond the McNeill sisters’ unpleasant assortment of childish woes, scabby knees, dirty hair, snotty noses, bad manners, and adult teeth too big for their mouths. She recognizes that the robust, precocious, winsome Marcella and her surly sister Rose-Renee have a vast, unmet need to be loved. She encourages Marcella’s musical abilities, and against received wisdom, refuses to believe that the sullen, uncommunicative Rose-Renee is retarded. That fall, Gloria’s wayward daughter Linda returns home with a drawling, Arkansas boyfriend in tow. The struggles between mother and daughter—Gloria angry that Linda has abused and denied her gifts, Linda attacking her mother’s musical delusions—create a storm of clashing egos. Everyone around them must walk on eggshells which crack and splinter while the gooey innards of family betrayals spill everywhere. For all these people, this one year will prove life-altering. Nothing will ever be the same. Perhaps childhood is the rehearsal for adulthood, rehearsal in reverse: a short preparation for the long performance ahead. When childhood ends, ready or not, you’re thrust into the adult world to perform, to gratify and validate all those who continue to wield power with unequal measures of guilt and praise. 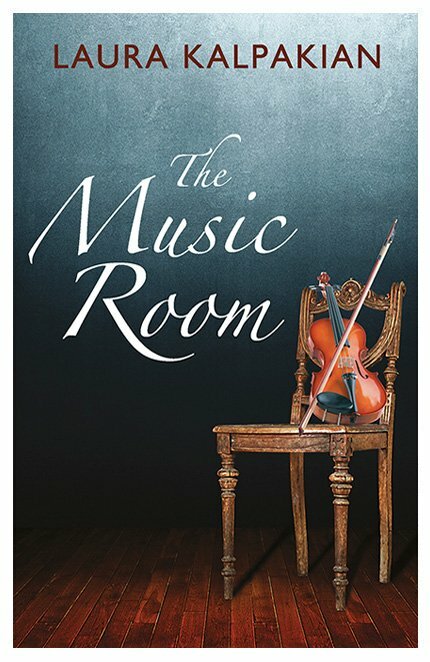 The Music Room is a novel of arrogance and artistry, of sacrifice and negligence, of delusion and conviction, of interminable rehearsal and profound performance. It is a story of love muddied with need, expedience, opportunism—as love always is. A concert inspired me to create, at least on paper, the noisy lives of children, two abandoned little girls, who live with music lilting through their lives.